Over the New Year’s weekend, Governor Cuomo vetoed two important pieces of legislation that would have reformed two New York criminal defense laws that currently promote injustice for innocent people. One of these laws would have decriminalized certain types of pocket knives and the other would have provided funding for court-appointed legal representation for indigent defendants. The “gravity knife” law dates back to 1958 and essentially makes most folding pocket knives illegal (not just carrying one, but owning one outright). According to one investigation, it has resulted in some 60,000 people being arrested simply for carrying a pocket knife—even if they use it everyday as part of their job—between 2003 and 2013, most of them black or Hispanic. This includes utility knives whose blades aren’t longer than four inches; the types of knives sold all over in hardware and related stores. Most states distinguish between folding knives and “gravity” knives, which were, in the 1950s, approximately a foot long, and have long-since gone out of use, mostly now existing in antique shops these days. However, the New York State police department’s strict interpretation of Penal Code 265.01 has effectively made every pocket knife found in the state of New York a gravity knife. To draw an analogy, it would be as if the police were using an antiquated law banning muskets to arrest people found with BB guns. And unfortunately, it doesn’t end there: anyone who is a prior offender—who is then found with a pocketknife—is eligible for a “felony bump up,” as though they were, instead, carrying an unlicensed pistol. This individual then serves six years in prison for carrying a pocketknife that is legal in most-all states. The state of New York, New York City, and outside counties currently pay for indigent criminal defense costs. Over New Year’s weekend, Cuomo also vetoed legislation that would have required the state of New York to eventually take over all these costs and reduced public defense attorneys’ caseloads, as well as required a defense attorney to be present at every criminal defendant’s first court appearance. 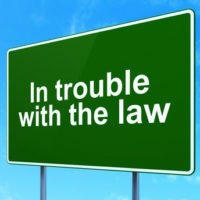 The law would have brought the state into compliance with a 1963 Supreme Court ruling, which requires that the state provide a competent lawyer to people facing criminal charges who cannot afford to hire their own attorney. If you live in Orange, Rockland, Westchester, or a surrounding County, and you have been arrested for a crime, you need to speak with an experienced criminal defense attorney right away. Anything that you say or do can be used against you, thus it is critical that you have someone who knows the ins and outs of the law there with you to ensure that your rights are protected. With an experienced defense attorney working at your side, you can help ensure that you are not the victim of unjust, outdated laws. Phillip J. Murphy has been protecting clients throughout Downstate New York and the Lower Hudson Valley for over 25 years. Contact our office today to find out how we can help you.